TENGA releases limited edition RAINBOW PRIDE CUP, to celebrate Pride Month. It will be available worldwide from June 2019 for the price of €13 RRP (each sold separately). The item is the flagship TENGA product, the Original Vacuum CUP, with a Limited Edition RAINBOW PRIDE shrink wrap. 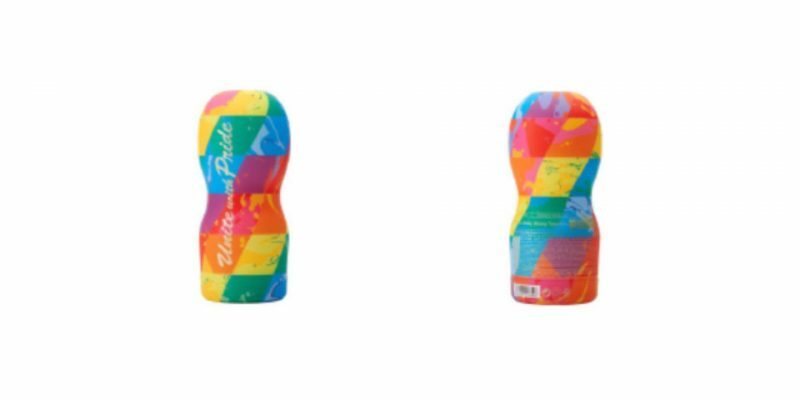 The Rainbow Pride CUP is designed to embody the motif of “QUILTBAG”. The patchwork style of the colorful pieces celebrates individuality and a strong connection, unifying all, much like a quilt. “QUILTBAG” is an acronym coined by Sadie Lee representing sexual minorities and their allies, encompassing a myriad of genders and sexualities. It stands for Queer/Questioning, Undecided, Intersex, Lesbian, Transgender/Transsexual, Bisexual, Allied/Asexual, Gay/Genderqueer. TENGA supports the freedom of all people to be who they are, free of expectation. TENGA supports sexual minority communities globally, including with the production of the Rainbow Pride CUP, and by continuing to make charitable donations in various global markets.